There are new additions to one of our favourite furniture families. 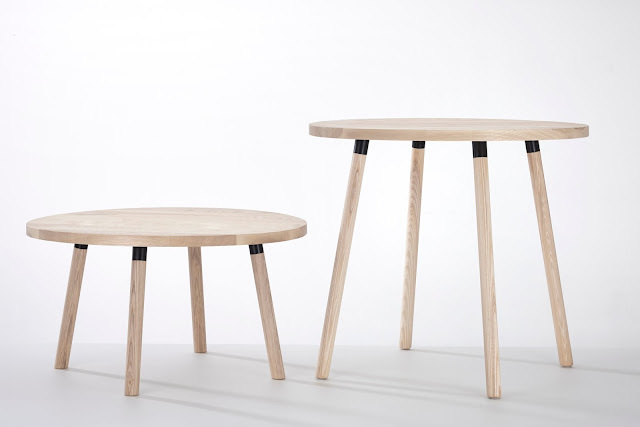 The Partridge Range of humble timber furniture designed by Sarah Gibson and Nicholas Karlovasitis for Design By Them now includes a round coffee table and dining table. Crafted from solid white ash timber and hand-finished with natural oil waxes, these tables are destined to become very important members of the Partridge family group, which already has two sizes of stools. “Our aim with the Partridge Range is to create simple balanced forms that will endure physically and aesthetically. We feel that using a warm and tactile material is comforting, and allows us to achieve this." says Karlovasitis of the concept behind the growing range. The Partridge coffee table and dining table for DesignByThem; photography by Pete Daly.